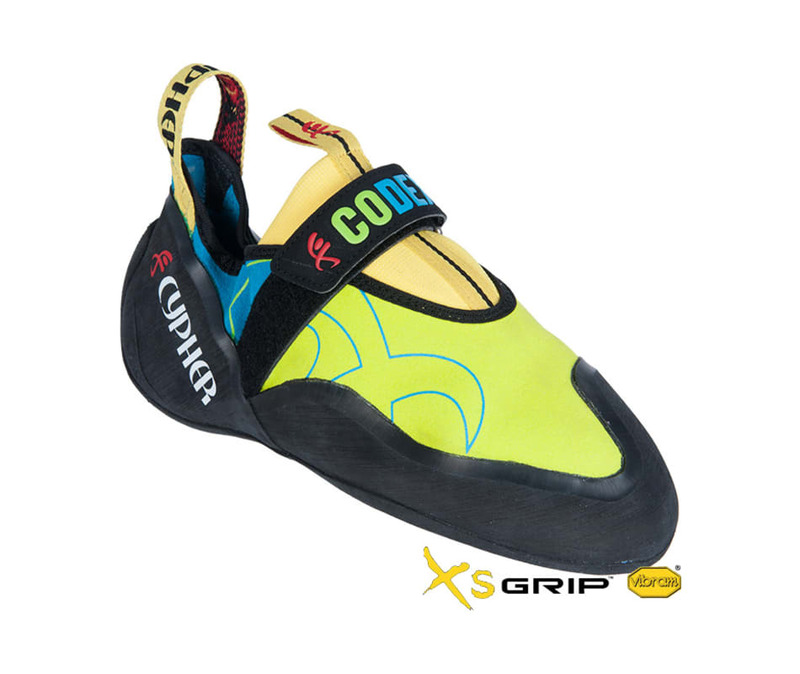 Our highest performance shoe to date, the Cypher CoDex is the go-to-shoe for steep lines. Featuring a 4.2mm sole with a stiff edging platform the CoDex is equally comfortable handling small edges as it is sending big roofs. A hybrid design with a synthetic toe-box and unlined leather heel allows for a more relaxed fit without sacrificing performance. The single velcro strap allows for better toe hooking and keeps the heel of the slipper on when heel hooking. Crack the code with the new CoDex.